When international states signed up to the first commitment period of the Kyoto protocol including a range of obligations to reduce green house gas emissions for the 2008-2012 period, not all of them took on obligations at a level which would actually stimulate them to reduce emissions. Thus, due to economic decline after 1990 and expected economic growth, Ukraine, like almost every country with an economy in transition, took on a target allowing it to emit more than it does or to sell the surplus. This surplus is called ‘hot air’ because it does not stem from policy measures aimed at reducing emissions but from countries’ historical situations instead. There has been much debate in recent years concerning the trade of hot air emission credits. However, this year Ukraine has been creeping ever closer to conducting its first transactions with the help of the World Bank. Ukraine is the second biggest supplier of hot air after Russia and has the opportunity to make between 9 and 17 billion dollars through international emissions trading. The prospective buyers are Canada, Japan and some EU countries experincing problems with reaching their Kyoto targets. Ukrainian NGOs have been long-standing opponents to the trade of hot air both because of well-founded suspicions of the Ukrainian government’s practices with money distribution, and hence its effective use, and because the countries taking reduction obligations would achieve their targets without actual reductions in their emissions. Although hot air has become an unavoidable reality, Ukrainian NGOs determined that it could only be acceptable if the money raised by Ukraine is used for emissions reduction projects and distributed in a credible and efficient way. A similar request for the establishment of such a credible scheme, usually referred to as the Green Investment Scheme (GIS), was clearly stated by potential buying countries. At the request of the Ukrainian government, at the beginning of this year the World Bank initiated a study on the emissions trading options for Ukraine and the establishment of the GIS. 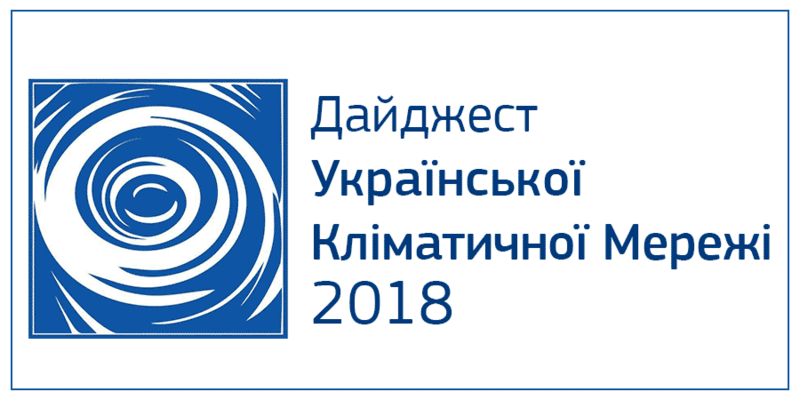 The aim of the project is to analyse the provisions for Ukraine to participate in international emissions trading, suggest options for organisational, legal, technical and other aspects regarding management and monitoring of the emissions credits, ensure transparency and credibility issues, select potential investment sectors and help Ukraine to conduct its first sales transaction. Ukrainian NGOs asked the World Bank for the right to participate at the first initial meeting related to the study and were subsequently informed about all developments; the NGOs were invited to provide their comments for the initial and final reports. the need for including specific provisions to ensure the transparency of all relevant decisions taken at the government level, such as open access to information, reports on the projects which received financing, a supervisory board for the fund etc. GIS should promote the phasing out of fossil fuel energy in Ukraine and not be supporting it. Much to the alarm of NGOs, the suggested list of priority sectors in the initial report totally omitted the development of renewable energy sources such as biomass, windmills, solar energy, small hydro installations and instead recommended the funding of projects in the coal mining sector, local gas distribution improvements and gas transit. The recently released final draft of the report shows that the comments put forward by NGOs have been taken into account. Various sectors have been analysed as being competitors to Joint Implementation schmes and therefore deemed very much in need of financial support. However, the final report has surprisingly brought another issue onto the table – the proposal to include the nuclear sector in potential investment projects! Whether this idea originated solely as an initiative of the experts conducting the study or via strong lobbying from Ukrainian government is unclear, but following NGO discussions with World Bank representatives there have been pledges that nuclear will be removed from the list of possible investment sectors. The final report and recommendations – including hopefully the bulk of the NGO recommendations – is expected for the beginning of the 12th Conference of the Parties to UNFCCC in early November. However the report itself is only the first step in the international emissions trading process. It remains to be seen how the Ukrainian government goes about implementing all of the very necessary provisions.